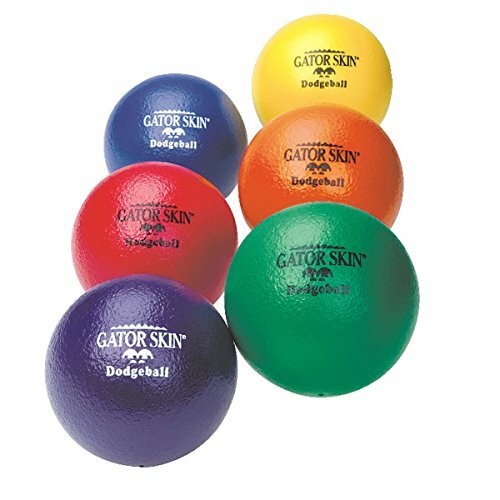 Our best-selling Gator Skin Dodgeballs in an exciting 6-color set! Bright 6"-diameter dodgeballs feature a soft, 25kg-per-meter cube foam density. 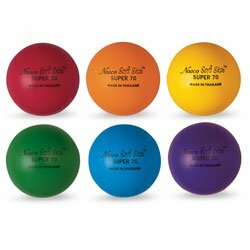 Our kid-friendly balls are dramatically lighter than other playground balls and virtually eliminate the sting associated with getting hit by the ball. They weigh less than 20% of a traditional 8-1/2" rubber playground ball often used to play dodgeball. An ideal dodgeball for kids ages 4 to 8. Certified Latex Free. Non-sting coating is a proprietary polyurethane. The tactile, non-sting coating makes them easy to grip, and the coating is so durable, they're virtually tear-proof! No more red marks from the stinging hit of a vinyl- coated or rubber ball, so everyone can play at ease and gain confidence. That means more fun during more activities. Our premium Gator Skin balls are simply your BEST choice. Gator Skin is a registered trademark of S&S Worldwide. Any use of this trademark without express written consent from S&S Worldwide is strictly prohibited. Gator Skin is the original coated foam ball enjoyed by millions of satisfied customers. Enjoy quieter Pro Mini hoop play with the swish foam ball. 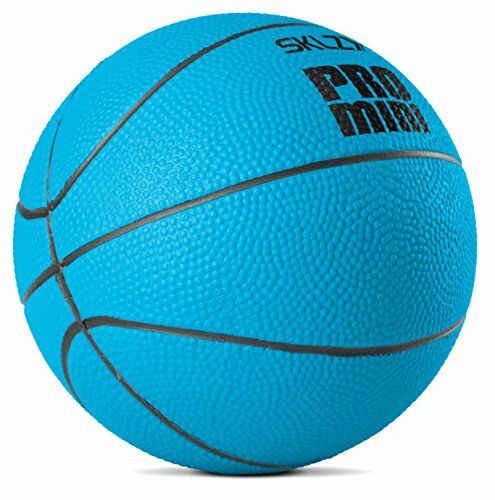 This 5 inch soft, foam ball will work with any Pro Mini hoop. Low-Density (15kg/M3), low rebound, uncoated foam balls are ideal for all levels of play. 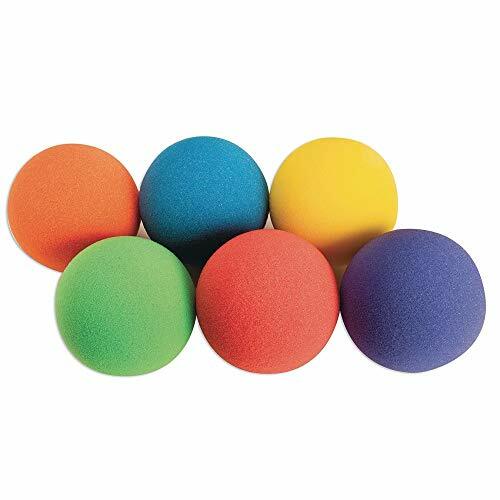 Soft and safe balls can be thrown or batted around room without concern. 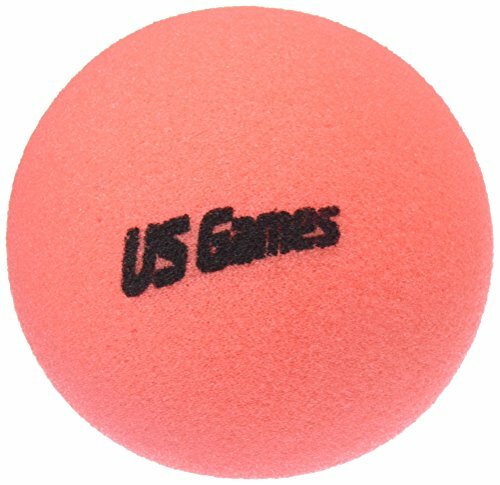 Soft, lightweight balls for a variety of indoor activities.Ideal for lead-up ball games.Colors may vary . 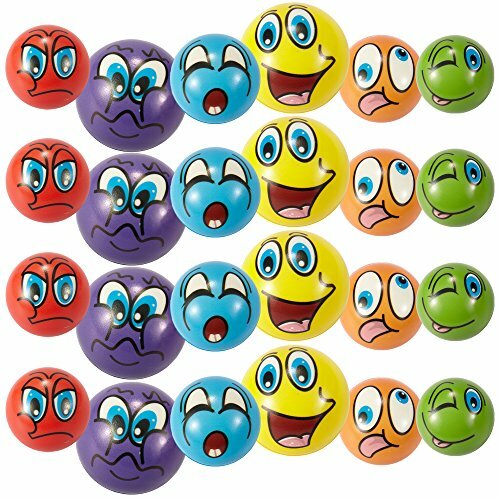 Set of 24 assorted Squeeze Balls in display box. Each individually wrapped. Comes in 6 different styles and colors. Very unique set of Emoji balls. Light and easy to carry. Makes for great stocking stuffers and safe to play with! Ages 3 and up. Calling all sports fans. 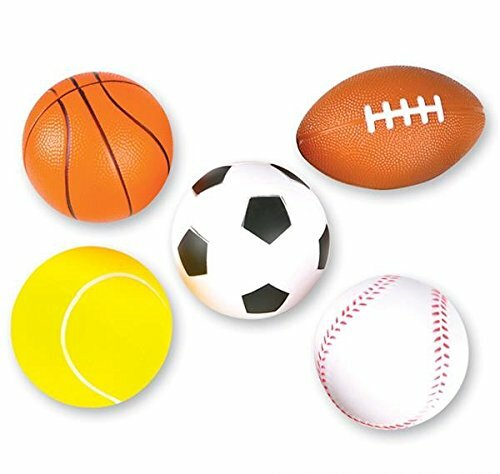 This collection features a variety of foam sports balls including baseball, basketball, soccer, football, and tennis. 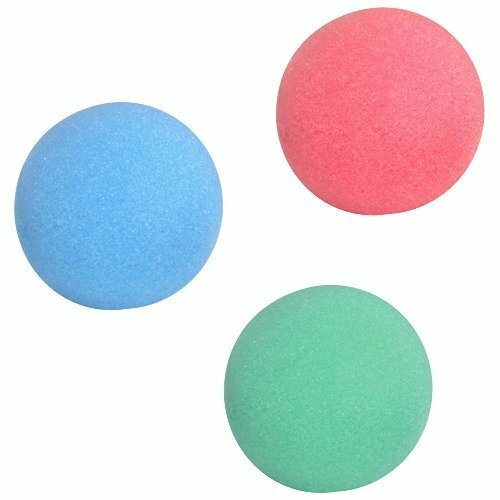 Sportime Super-Safe Foamed Vinyl Playground Ball, 7"
US-Games Uncoated Economy Foam Balls, 4"
Gun Toy Shoot Air Blast - Push Handle To Shoot - 8 Soft Foam Balls - Shoot up to 30 Feet! !